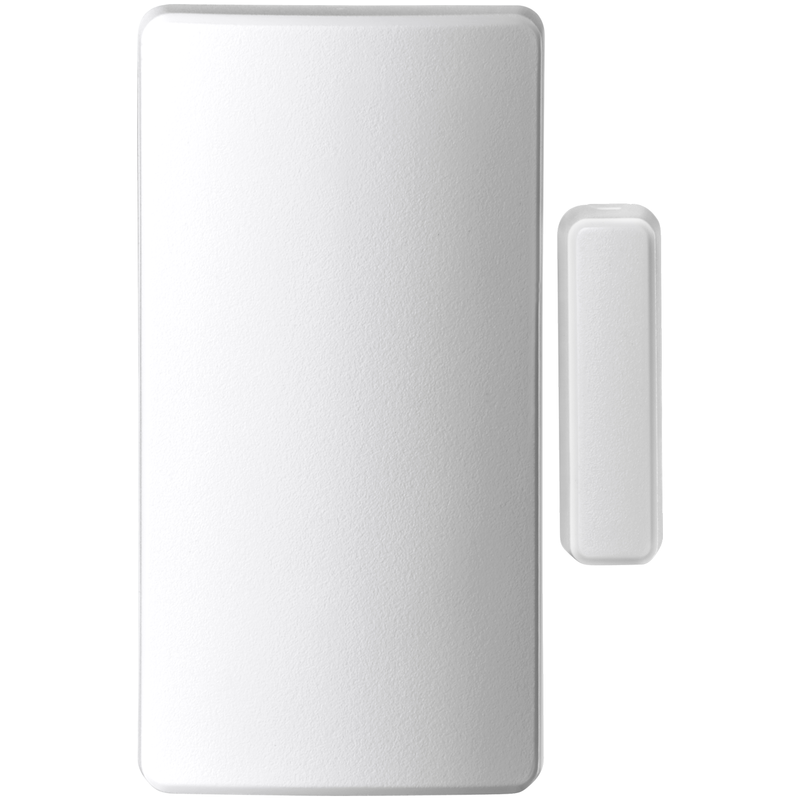 The Honeywell Lyric SiXCT is a wireless door or window alarm contact, intended for use with the Lyric Controller which supports SiX™ series devices. The SiXCT can be programmed and enrolled into the Honeywell Lyric Controller (LCP500-L) in a matter of minutes. Once enrolled, the SiXCT device cannot be used with another security system until it is removed from the current controller due to the Lyric Lock feature. Each SiXCT has a unique MAC number located on the sticker on the unit. The SiXCT is now boasting a 300-foot transmission range, which is about 100 feet more than the previous Honeywell 5816 contacts so, now you may place your sensor's in those far away extra bedrooms. By using 128-bit AES encryption to prevent against RF jamming, rest assured your SiXCT open/close alarm signals are being sent and received securely by the Lyric Controller. The SiXCT has front and back tamper protection, to prevent anyone from deliberately tampering with the enclosure. In the event, either of the tamper switches is activated your Lyric Security System will notify you with an alert. If you have Total Connect Interactive Services activated, you will also receive a text message and email notification directly to your smartphone. The SiXCT has LED indicators on the door/window contact for visual sensor notifications for programming and status. 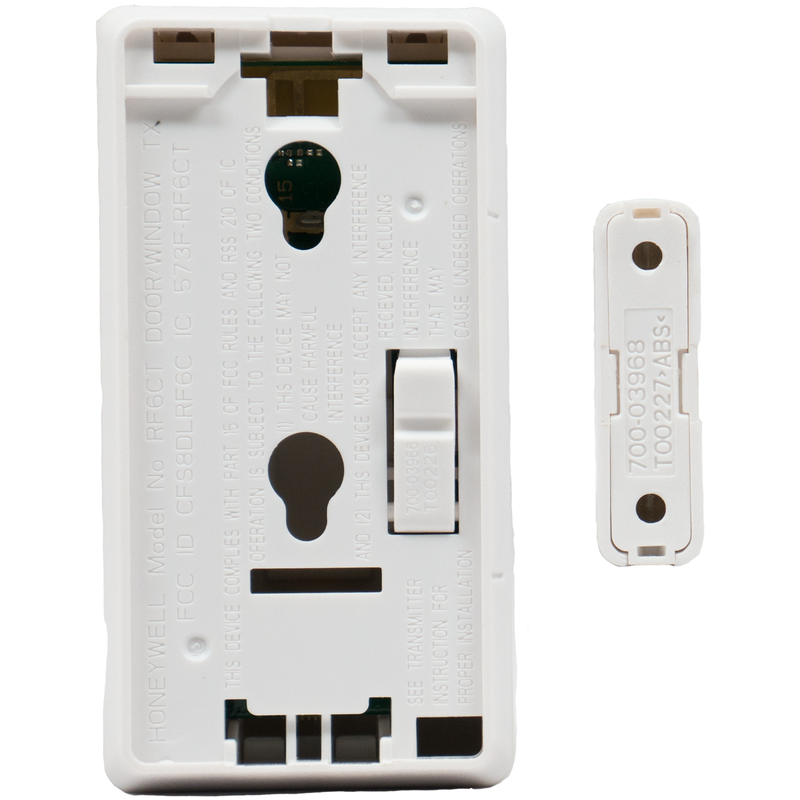 The Honeywell SiXCT wireless contact can be installed and programmed in a few different ways. The first would be to install the contact using the magnet for complete wireless functionality. When choosing this installation, method make sure the magnet is between 0.75" - 1" or the sensor may not work correctly. The second installation method would be using the wired terminals on the inside of the SiXCT which is where you can wire a hardwired sensor with a max distance of 3 feet into the wireless Lyric Contact and have it send a wireless signal back to the Lyric Controller. 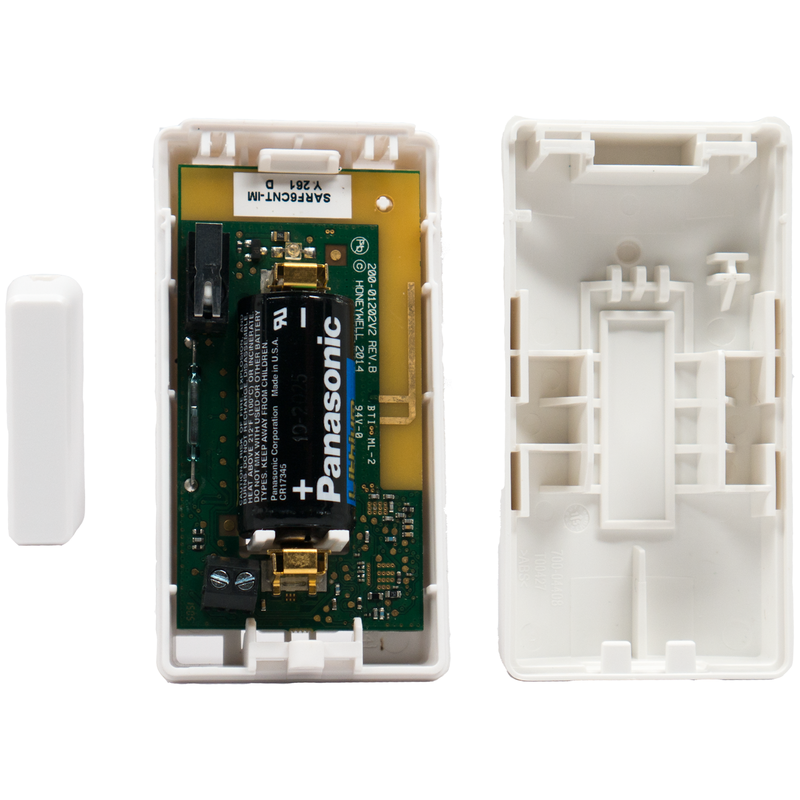 Though the Honeywell SiXCT and 5816 both share the above installation and usage features they are a bit different as to how they are programmed into the alarm control panel. With older 5816 contacts, you would program two different zones using two different loop numbers. When programming a SiXCT sensor to use both a hardwired zone and a wireless zone using the magnet you would simply program the hardwired zone as a contact into its own zone and the wireless aspect would be programmed into its own separate zone labeled Reed. This is not the most common way to setup your SiX contact but, if it is not programmed correctly into the controller it will not function properly. A new feature of the Honeywell Lyric Security System and SiXCT wireless contact is its sensor health check and battery life. The transmitter will always report its battery status to the alarm control panel so the battery level can always be viewed on the ZONES screen. The SiXCT has upgraded its battery life to 5 years' typical use which is an improvement from the 5816 which had an estimated range between 3-5 years. Designed to conserve battery life, SiX sensors are normally in an ultra-low-power state. (Radio off, LED's off) Several events can "wakeup" a sensor; change of state for an external input (reed switch), devices will also "wakeup" on a time-based interval, and time-based wakeups occur every 30 seconds. Honeywell SiXCT wireless sensors are a great addition to your home or business and will protect you against intruders whether you are home or away if they open a door/window and separate the magnet from the contact but, you may be asking what if they decide to break the glass window or door? If you have a fear of an intruder breaking either your glass door or window, then you may want to think about adding a Honeywell Lyric (SiXGB) glass break sensor which works as a sound detector for all UL listed glass break frequencies. The SiXGB will also protect your whether you are home or away. 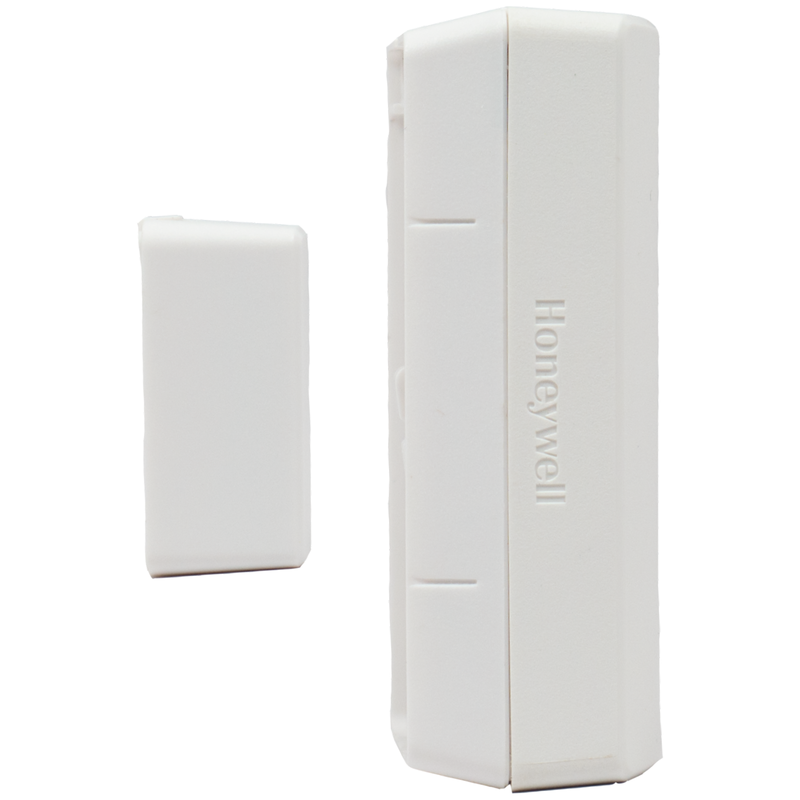 Another suggestion to be used in conjunction with the SiXCT is using the Honeywell Lyric (SiXPIR) wireless motion sensor. The SiXPIR is a great addition to a home or business because no matter how or when an intruder decides to break in the Lyric Motion sensor will play clean up by detecting any kind of motion while you are away.